Practical sessions on mosquito taxonomy, dissection, and identification of species. 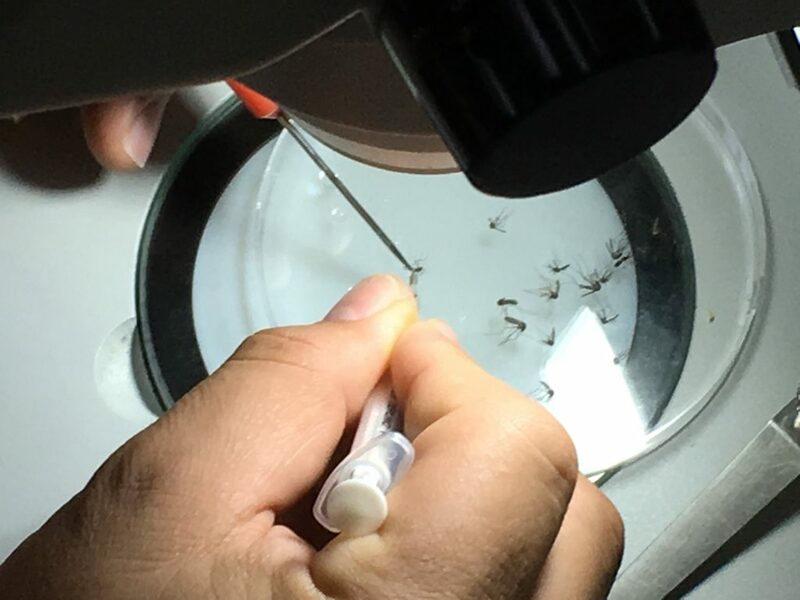 The Zika AIRS Project (ZAP) is working across the Latin America and Caribbean region to support governments to plan and implement vector control activities and conduct entomological monitoring to reduce the spread of Zika and other arboviruses. A critical element of ZAP’s support is to maintain consistent and accurate surveillance of Aedes aegypti mosquito populations, the mosquito species that transmits the Zika virus. 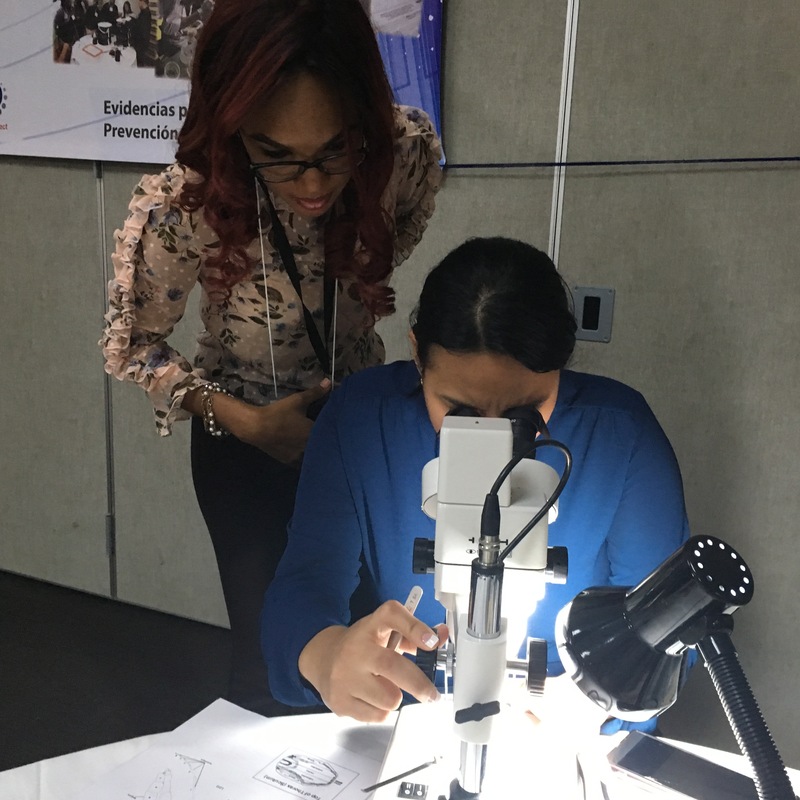 In May 2018, ZAP hosted a 5-day regional entomological training in Santo Domingo, Dominican Republic. Participants included a mix of Ministry of Health and ZAP entomologists from Dominican Republic, Honduras, El Salvador, Guatemala, Peru, Ecuador and Paraguay. Representatives from USAID and CDC also participated. The dynamic and participatory training combined scientific lecture, operational dialogue, and practical, hands-on sessions, on topics ranging from lessons learned during ZAP’s first year of implementation, how to conduct insecticide susceptibility tests, methods for species identification and dissection of adult mosquitos, best practices in data collection and analysis, and more. ZAP organized several of the practical sessions at the Universidad Autónoma de Santo Domingo’s Entomology Lab, newly refurbished with ZAP support. Rich discussions around the sustainability of entomological surveillance will help inform ZAP’s programming going forward.